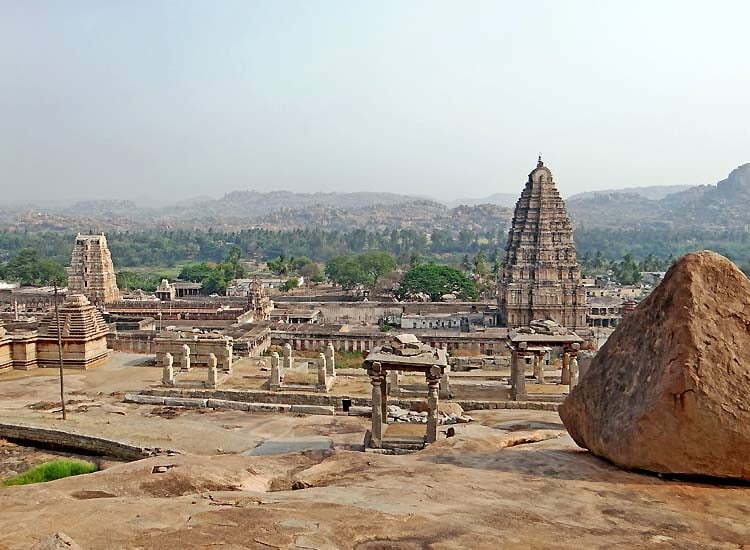 The 2019 New York Times’ list of 52 must-see places around the globe lists Hampi on the second position. The UNESCO World Heritage Site in Karnataka is the only place in India to make it to the annual list this year. The list was recently put on the website, where Hampi gets the second position with the iconic image of Vittala Temple. The 16th century historic town of Hampi is one of the heritage treasures of India. Home to beautiful ruins, the town is the legacy of the 16th century Vijayanagar Empire. Tourists from all around are fascinated with the well-preserved monuments and stone temples. The New York Times annual list is drafted after analysis of most popular destinations in the world that are aspiring, fascinating and perhaps endangered. Hampi earned its place because it has recently gained new perspectives to the ancient historic site. The olden town is now offering new memorable experiences to travelers from far ends of the world. Settled along the banks of the Tungabhadra River, spread over 26km, the town though famous for history is now an experience-seekers paradise. Photographers, nature lovers, wildlife enthusiasts, solo backpackers and more. Though off the traveler paths, Hampi is visited by tourists both local and international. Over the decades, more and more people frequent the historic town. The city is not left untouched by the effects of the steadily growing tourism. Conservation is the need of the hour and the heritage site requires efforts for the maintenance of its charming beauty and the rustic feel. Over the years, mostly since 2016, India has constantly found a place in the prestigious New York Times annual travel list. Earlier places in India like Tamil Nadu, Agra, Sikkim, and Chandigarh had featured on the list. In 2019, the top five list include- Santa Barbara (California, US), the new eco-friendly beach resorts of Panama, Munich (Germany), the Caribbean island of Puerto Rico, etc.